**Disclaimer** Due to JumpForward system settings, Google Chrome or FireFox work best to register. In the 4 years that Coach Gentile has taken over the program, the Eagles have seen a tremendous jump in the majority of on-field categories. In 2015, the Eagles saw one of the best offensive years in program history. In 2016, the Eagles improved their conference ranking by four spots and put three athletes on All-Conference teams, including Michelle Kriegshauser who received All-Region honors. EMU Softball has seen significant improvement in all areas of the game and look to compete for a Conference Championship in 2018! Under Coach Gentile EMU Softball has set program records in home runs, RBI, number of MAC Scholar Athletes, and home game attendance. Her teams have also finished in the all time record books in the following categories: 3rd All Time in hits and walks, 4th All Time in RBI and stolen bases, 5th All Time in runs scored, 7th All Time in fielding percentage, 9th All Time in doubles and tied for 9th for the fewest strikeouts in a season. There is a lot of hype surrounding the EMU Softball program, and we would love to share with you our techniques and our passion for teaching the game. We are offering multiple camps for all ages and skill levels. Sign up today for your opportunity to learn from some of the best coaches around! The 2017 season will mark the fourth year for Melissa “Skeeter” Gentile (pronounced gin-TIL-ee) as the head coach of the EMU softball team. In her latest season at the helm, Gentile coached EMU to one of its best campaigns since 2011. The Green and White saw three players honored by the Mid-American Conference following the conclusion of the season as Michelle Kriegshauser, Aoife Duffy, and Amanda Akles were recognized. Kriegshauser garnered All-MAC honors for the third consecutive season, this time landing on the first team while Duffy reeled in the first postseason honors of her career as a second team award winner. Akles became the fourth player in program history to earn a spot on the MAC All-Freshmen Team, and the first since Kriegshauser did so in 2013. Additionally, Gentile coached Kriegshauser to an All-Region worthy season, as the junior outfielder was named to the NFCA All-Great Lakes Region Second Team, becoming the first Eagle to claim the honor since 2008. As a team, the Eagles pieced together one of the best offensive seasons in EMU history. The Green and White scored 203 runs, the second-most in Eastern Michigan history, and pounded out 69 doubles, the most since 2007. In the circle, the Eagles’ pitching staff posted the team’s best ERA since 2012 while each hurler set career-highs in strikeouts. EMU’s on-the- field success carried over to the classroom where the Green and White set a program record with 12 Academic All-MAC selections. The 12 honorees also ranked as the most in the conference. In 2015, Gentile saw her squad improve their overall record by five wins from the season before while the Eagles placed three on the All-Mid-American Conference second team. Abi Clark, Michelle Kriegshauser and Taylor Wagner each garnered the accolade for the first time in their careers. Not only did the Green and White see individual success, but as a team EMU broke the single season home run record after launching the ball over the fence on 41 occasions. In addition, the 2015 roster recorded the second-most hits all-time with 366, while it added 181 runs batted in, good for the fourth-best in school history. Academically, Gentile’s squad put eight student-athletes on the Academic All-MAC squad, while she added Abby Davidson and Kriegshauser to the MAC’s prestigious Distinguished Scholar Athlete list. In Gentile's first year as head coach, the Eagles had one Mid-American Conference All-Freshman team honoree in Kriegshauser. She tied the EMU single game record with her three doubles against Valparaiso, April 2. The freshman tied all-time doubles leader McKenna Russ' three doubles against IPFW, April 1, 2009, en route to her All-MAC honor. The Green and White also saw six players named to the Academic All-MAC honorable mention list in Gentile's first season. Upon arrival at EMU, Gentile brought five years of NCAA Division I coaching experience with one year as a head coach at Jacksonville University and four years as an assistant coach at Central Michigan University and EMU. She spent seven years as the owner/director of Powerline Softball in Clearwater, Fla. She tutored 28 NCAA all-conference, 18 all-region and numerous high school All-American selections during her time in Florida. Prior to opening her own company, Gentile led the Dolphins to a 22-37 record in 2006 as the team’s head coach. Despite narrowly missing the Atlantic Sun Conference Tournament, Janine Palumbo earned second team all-conference honors, while Beth Glasscock made the all-freshman team under her guidance. Gentile, who also served as recruiting coordinator at Eastern Michigan, helped lead the Eagles to their first MAC Tournament appearance since 1999 after posting an 11-12 conference record in 2004. The Eagles also excelled in the classroom by earning National Fastpitch Coaches Association (NFCA) Team GPA honors after ranking first in the nation with a 3.552 GPA. In her first season, she improved the Eagles’ batting average from last in the conference (.199) to sixth overall (.241) and had two players (Deanna Wisnieski and Nikki Denman) rank among conference leaders in every offensive category. Prior to coaching at Eastern Michigan, she spent one year as the Director of Softball Operations for the Michigan Sports Academy. Gentile began her coaching career as an assistant coach at Central Michigan University from 2000-02, where she served as the recruiting coordinator and camp director while also handling fundraising. In three years with the Chippewas, she helped lead the squad to a pair of MAC regular season and tournament championships as well as two NCAA regional appearances. Central Michigan also had 12 All-MAC selections, and five players earned NFCA All-Great Lakes Regional honors. In her playing career, Gentile was a four-year letter winner for the University of Michigan and finished her tenure as the career (28) and single-season (13) home run record holder, which was held until 2004. A co-captain in 2000, she earned All-Big Ten, All-Region and All-America honors in 1998 and was the Big Ten Conference Freshman of the Year in 1997. 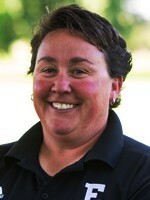 Gentile participated in two Women’s College World Series at Michigan, placing fifth in both 1997 and 1998 and was named to the Women’s College World Series All-Tournament Team in 1997. Along with the Big Ten Freshmen of the Year honor, Gentile earned second-team All-Big Ten accolades in 1997 as well as first-team All-Big Ten and All-Region accolades as a sophomore. Gentile also went on to play with the USA Women’s National Team from 1996-2000 and was a member of the USA Pan-American Team in 1997 before graduating from Michigan in 2000 with a bachelor’s degree in kinesiology. She continued her playing career in the Women’s Professional Softball League (now the National Pro Fastpitch League) after being drafted by the Akron Racers in 2000. She also eared her Master’s degree in Athletic Administration from Central Michigan in 2005. A native of O’Fallon, Mo., the 38-year old Gentile played softball at Wentzville High School. Born: March 14, 1978 - O’Fallon, Mo. High School: Wentzville H.S. - Wentzville, Mo. The 2017 season marks the fourth year for Kimberly Burke as an assistant coach with the EMU softball team, where she works primarily with the outfielders as well as with the Eagles on their baserunning. Prior to coming to Eastern, Burke spent three years as the head coach at Ohio Northern University and served as an assistant coach at both Kent State University and the University of Massachusetts. While at Ohio Northern, Burke coached the Polar Bears to a 71-43 overall record with one NCAA Division III National Championship appearance. During Burke’s tenure, the Polar Bears notched two Ohio Athletic Conference regular season titles, two NCAA Division III regional appearances and one regional title. Burke was part of the NFCA Division III Central Regional Coaching Staff of the Year after leading Ohio Northern to a 31-14 overall record and 14-3 record in conference play in the 2012 season. In her three seasons at the helm with the Polar Bears, Burke coached 14 All-Ohio Athletic Conference selections, six OAC All-Tournament team honorees, one OAC Player of the Year, one OAC Rookie of the Year, ten NCAA All-Central Region selections, seven NCAA Central Regional All-Tournament team members, one All-Central Region Tournament MVP and one NFCA All-American. 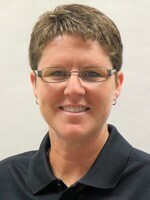 Before her three years at Ohio Northern, Burke served as an assistant coach at Kent State University for four seasons. While at Kent State, the Golden Flashes recorded 46 wins in the 2008 season to write their names in the record books for most wins in a single season, along with making a NCAA Regional appearance. Burke helped lead the team to two 30+ win seasons, one Mid-American Conference regular season championship and one MAC Tournament Championship in 2008. KSU saw 11 All-MAC team honorees and five all-region selections along with one Academic All-American selection in Burke’s time with the program. Burke also spent two years as a graduate assistant at Central Michigan University and three years as an assistant coach at UMass. While at UMass the team made two NCAA Regional appearances and set the single season win record with 53 in the 2002 season. In her final year with the Minutemen, Burke garnered Northeast Regional Coaching Staff of the Year accolades while helping the team to an Atlantic 10 season and tournament championship. Prior to her coaching years, Burke was a member of the Central Michigan softball team from 1998-2001 where she was named second team all-region and also earned First Team All-MAC honors. In her senior campaign, Burke was named to the MAC All-Tournament team. The former infielder tied for fourth all-time at CMU with 36 career doubles and helped the Chippewas to two first-place finishes in the West Division of the MAC during her four-year career. The Mt. Pleasant, Mich. native attended Mt. Pleasant High School where she was a three sport athlete, participating in basketball, volleyball and softball. She was a three-time all-regional honoree and was named honorable mention all-state as a junior. Burke closed out her senior campaign garnering all-state honors. Burke earned her bachelor’s degree in sports studies from Central Michigan in 2001.